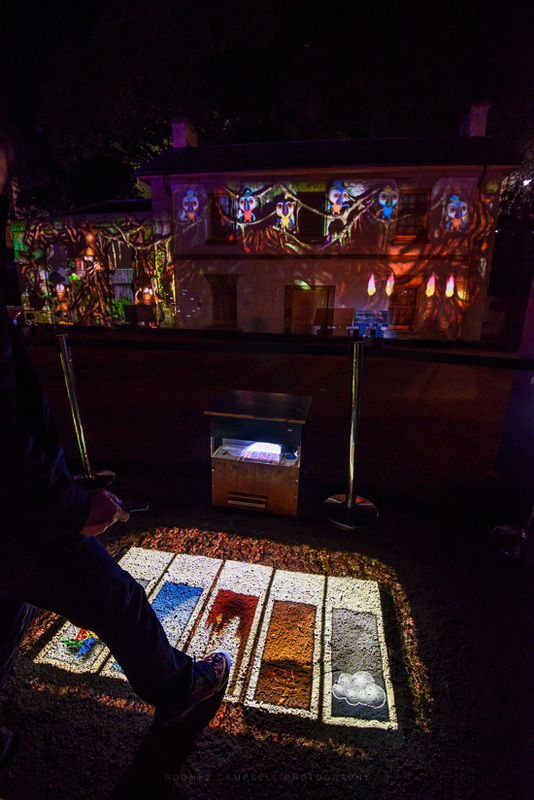 There are a number of interactive installations at Vivid Sydney. Possibly none more so than MUSIC|box located at historic Cadman’s Cottage at the Rocks. 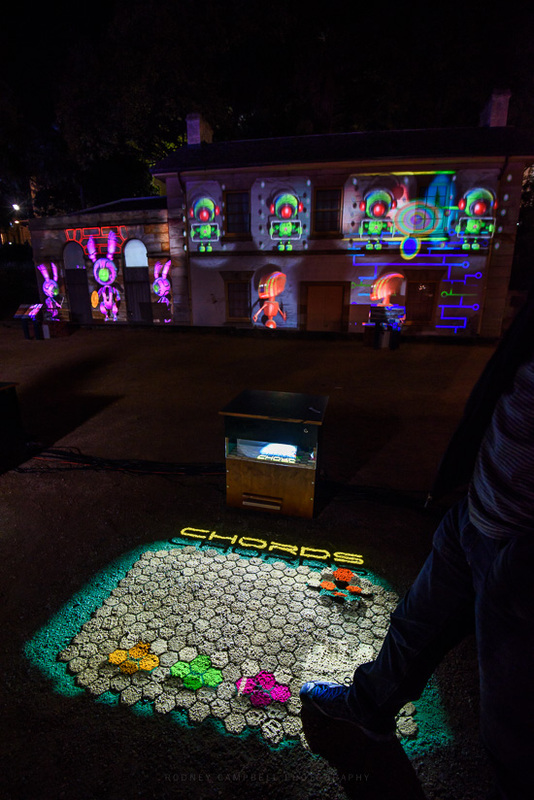 Here participants can see their own musical compositions translated into unique displays of colour and fantasy. 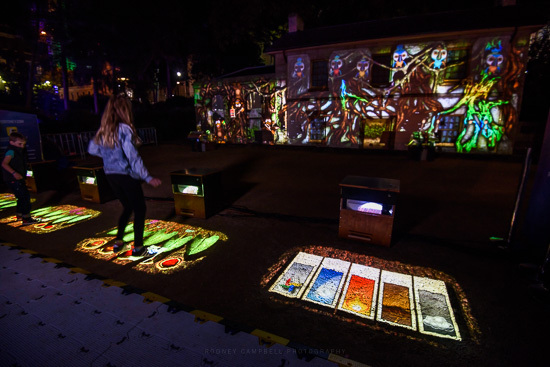 You step into one of four themed 3D spaces, each acting as a stage on which a virtual keyboard is projected onto the ground. By playing your particular instrument you get to create a unique soundscape with every note represented both as an audio and visual element. Together they combine to produce a constantly changing performance. The kids will love this stuff so be sure to venture down here to give it a try. Another very popular spot with kids and adults alike will be Trapdoor down at Barangaroo.